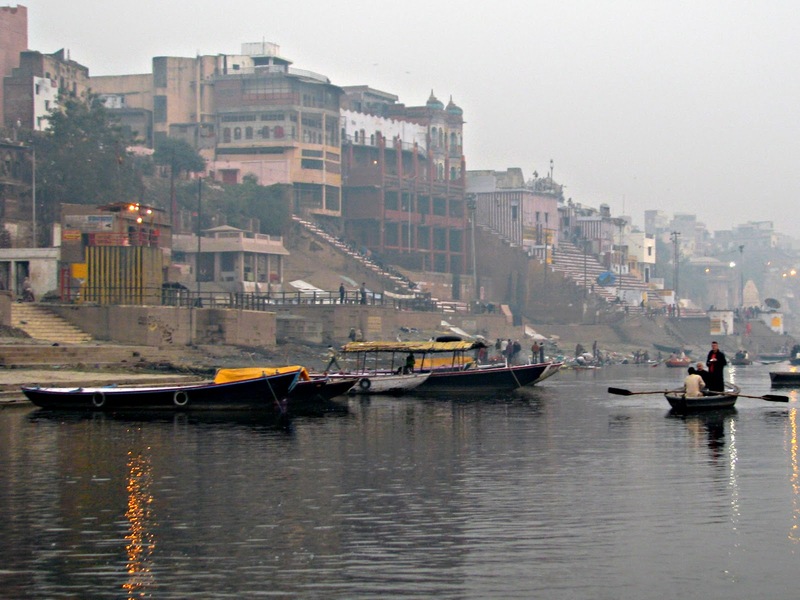 The Ganges is a wonderful river. In the life of the Indians has a very important role. It’s the holiest of all rivers. It’s the water that purifies, the water that quenches thirst, the water that feeds. Ganges is the mother of all waters, there wouldn’t be water in the ocean, in seas, in lakes and in the world without the Ganges. The Ganges, like all Indian rivers, is a goddess, Ganga, and it has heads among the glaciers of the Himalayas, where Shiva has his abode, rushing down from there in his valley to get to his immense delta. Along the way millions of Indians revere him, they are immersed themselves, they founded the city on its banks, along its gath they live. The cities wetted by holy river are famous: Varanasi, Allahabad, Kolkata. A river so couldn’t not find in a legend its born. The goddess Ganga, sister of Parvati and daughter of the god of the mountain Himavan, was beautiful, too beautiful, so the gods would not share her with the men and kept her in heaven, where she is the bright Milky Way. How and why the Milky Way, the goddess Ganga fell from heaven? Second a tradition, Vamana, the dwarf avatar of Vishnu, with one of his three gigantic steps by which the gods regained the universe, made a hole in the sky and from that the Milky Way came down to earth to form the Ganges. Another tradition tells us instead that the king Bhagirath wanted to cancel the serious crimes of his ancestors. These faults were so serious that they could be washed by the waters of the Ganges. ﻿﻿ Touched by the asceticism of king, the god Brahma asked Bhagirathi what he wanted and he asked God to come down to earth the cosmic waters of the goddess Ganga. Brahma consented, but Bhagirath invited to turn to Shiva, because if the Ganges descended to earth with all its wildness, it would have completely destroyed it. Bhagirath then went on meditation and austerity, eating only leaves first and then only with air and water, remaining permanently standing on one foot with his hands raised to heaven. Moved with compassion, Shiva agreed that the waters of the Ganges down to earth through his hair ruffled to mitigate river’s violence. And so it was. From heaven the goddess had drained her splendor from the Milky Way on earth through the hair of Shiva who was in his home on Mount Kailasa. And from there, from the Himalayas, the Ganges starts his earthly journey to its delta. For this reason, as explained in another post, the representation of the god Shiva shows him with a jet of water on her hair. In a wonderfull hundred feet bas-rilief in Mamallapuram near Chennai this legend is told.